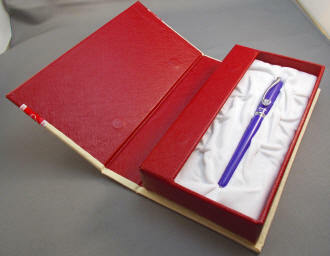 "Hi Norman, I love my new pen! I was so excited to see the box when I came home from my weekend trip today. I couldn't wait to try it out and now that I have I absolutely love it!" "Got them today! Totally in love with the heart clip, it writes so smooth and it's SO CUTE. Thanks so much for putting one aside for me. I had been planning to order one or two when I got home after I saw the newsletter..."
This slim beauty measures 5-1/4 inch capped, 5-1/4" posted and 4-1/2" with cap held aside. 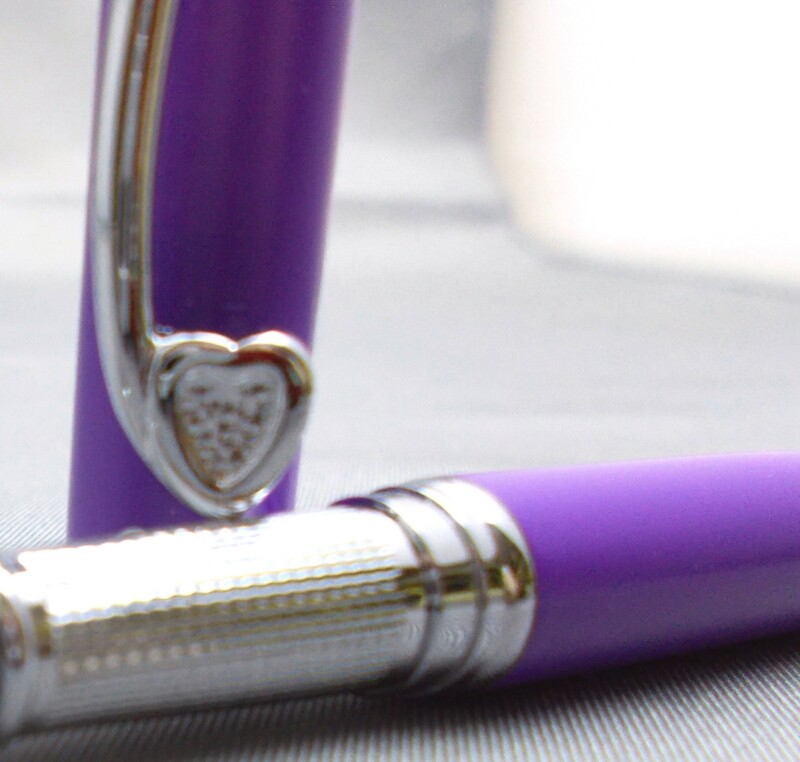 You may notice the lovely purple/lavender/amethyst color of the pen first from a distance, but as you get closer -- or if it's sticking out of a pocket -- there's no escaping the gracefully swirling clip with the suspended heart at its terminus. 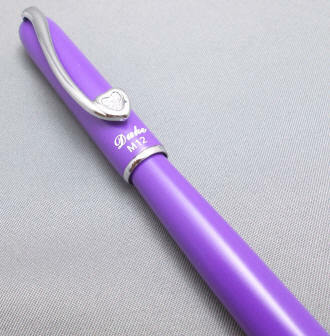 In fact, with the clip set so high on the cap, the heart and almost-sinuous clip leave the impression that it's a pin attached to your pocket. Just below the heart and above the cap ring 'Duke' and 'M12' (the model name) are displayed. The cap top is crowned by a same-color 'jewel', while the barrel end sports a chrome insert. 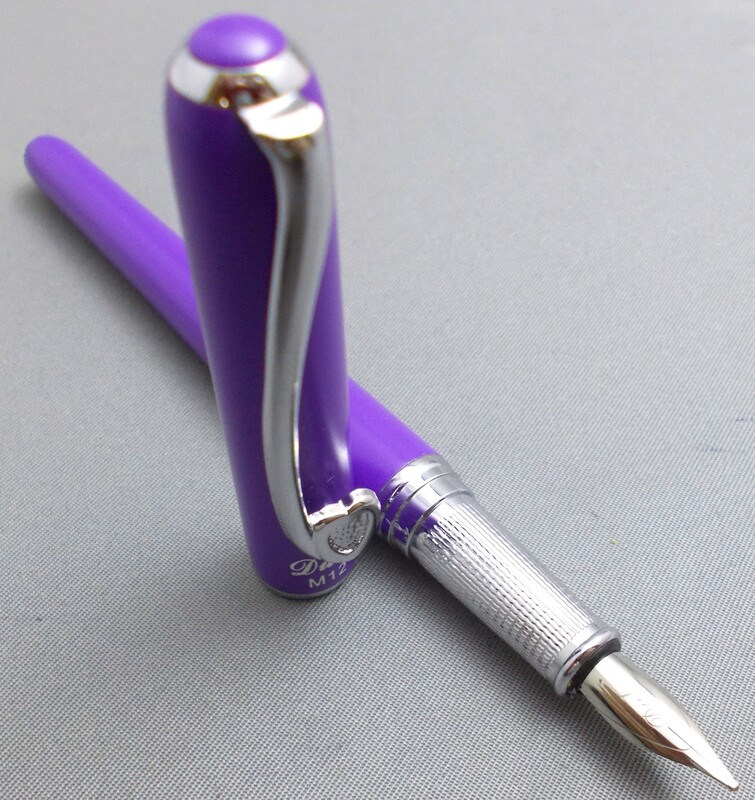 The slip cap re-seats with a secure 'snap' and will post on the barrel-end through friction -- although the barrel is long enough for most to write comfortably unposted, if that's your preference. The steel nib is simply adorned with 'Duke', in script, and I would rate it -- like virtually all DUKE models -- as a light-medium, falling in between a typical western fine and medium. The knurled section provides for a secure grip while writing. Unscrewing the all-metal threads between the section and barrel displays the slide converter -- with a steel ink agitator -- for bottled ink. 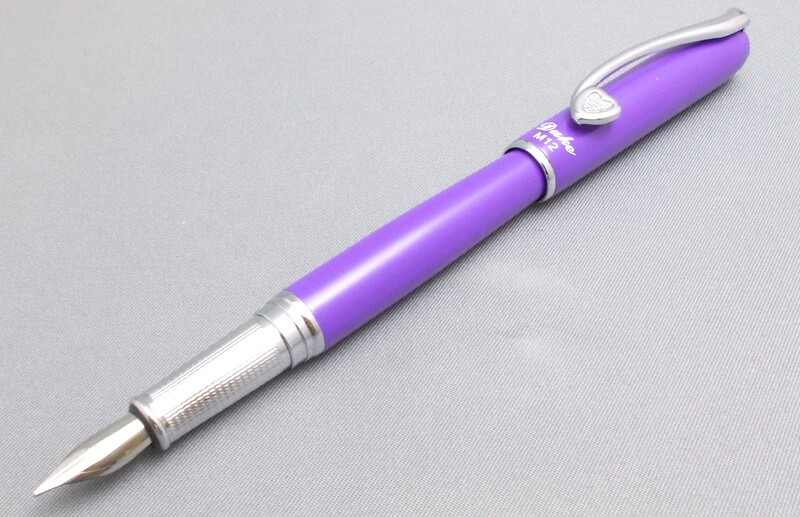 Having a demure opening, this is actually a bottle-filled ink only pen. The opening in the section is just a tad too narrow for conventional ink cartridges. The pen comes in a lovely book-like gift box. 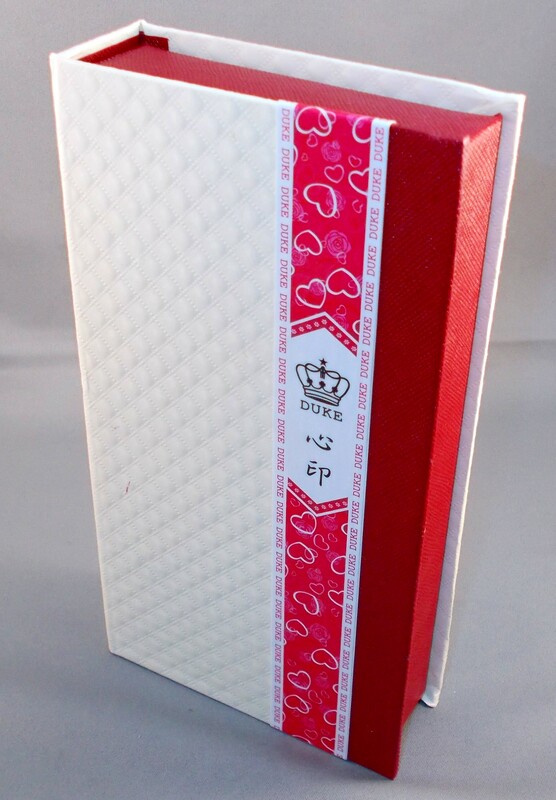 It reprises the heart motif and has a magnetic closure.